The book tour launches here at the Smithsonian Libraries and continues to ten other cities in the United States and United Kingdom. Stay tuned for a complete list of tour dates to find an event near you. 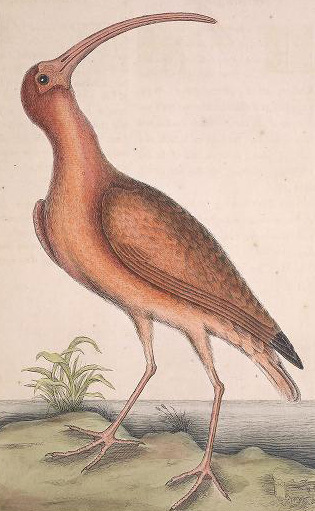 Even if you can’t attend a book lecture in person, readers from around the world can view a digitized copy of Catesby’s original publication of The natural history of Carolina, Florida and the Bahama Islands by way of the Biodiversity Heritage Library. The digitized version features 220 full-page illustrations in two folio volumes. For more information about the book launch event, including speaker bios, please see our events page. This post was compiled by Anna Gault, Alternative Spring Break student from the University of Kentucky.